Someone could’ve had the same conversation with her when she enrolled at the University of Nebraska at Kearney nearly five decades ago. “When I was a college student, you could never say I aspired to be a chief information officer, because there really wasn’t such a thing at the time,” said Schroeder, who is retiring May 31 after working 41 years in UNK’s information technology services. The Shelton native has definitely seen some change during her career. Schroeder, the first in her family to earn a college diploma, graduated from UNK in 1975 with a bachelor’s degree in math education and enough credit hours for a minor in computer science. She was looking for a teaching job but ended up applying for a computer programmer and systems analyst position at UNK, where she was hired on the spot. Schroeder’s career began on a mainframe computer that was fed information on 80-column punched cards. The computer occupied a space twice as big as her current office inside the Otto C. Olsen building and had just 64 kilobytes of memory – allowing up to 5 million characters to be stored. “We have more power in this laptop on my desk than we had in the first mainframe computer I worked on,” Schroeder said. After three years in that position, Schroeder took a job with a local software development company and completed her Master of Business Administration degree through UNK before returning to her alma mater as a computer science instructor. In 1982, she moved back to a systems analyst role and led the transition from punched card-based records to a new student information system that utilized computer terminals and online databases. Eight years later, the first commercial student information system was introduced, further simplifying the registration, financial aid, admissions and billing processes. The changes came at warp speed in the 1990s as Schroeder advanced to assistant director, then director of computer services. UNK launched its first website during this period and the campus network began to evolve, extending internet access to every classroom and office. Schroeder, who was named UNK’s first assistant vice chancellor for information technology in 2000, also spearheaded projects that brought wireless internet to campus, introduced online learning management systems – first Blackboard and now Canvas – and upgraded the student information system to PeopleSoft. In addition to supporting administrative and academic services through her work, Schroeder is a key player in cybersecurity, and she created the Technology Excellence Award, which recognizes the exemplary performance of ITS staff members across the university system. 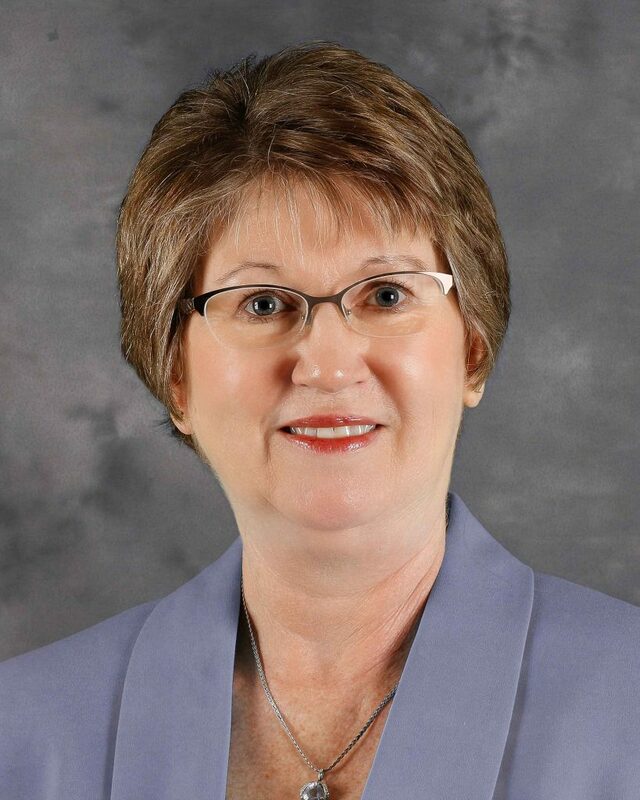 She also co-chairs the education advisory group for Network Nebraska, a self-funded, statewide partnership that provides internet access, network management and technical support for more than 290 public and private K-12 schools, colleges and universities. 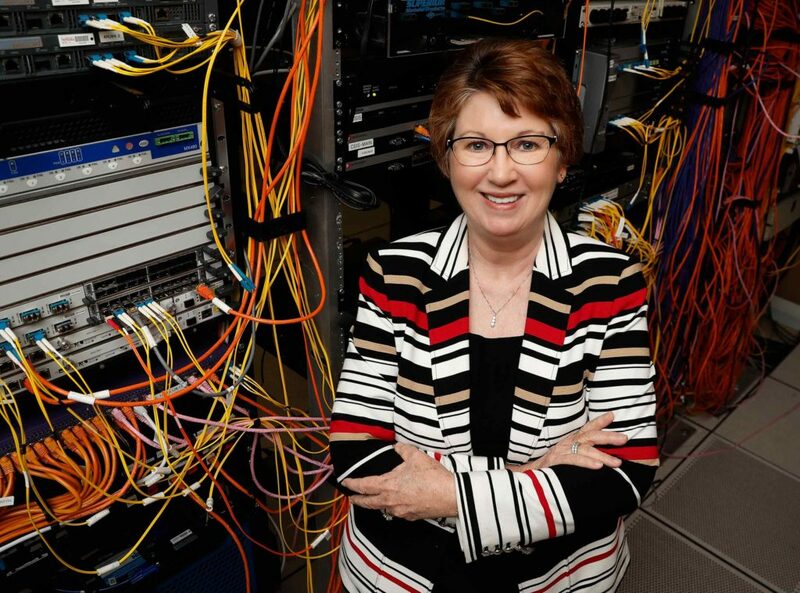 Schroeder, whose title changed to chief information officer and assistant vice president for information technology when NU consolidated its IT services in 2017, credits her lifelong love for learning and the UNK community – the students, staff and faculty she works with on a daily basis – for her longevity here. As she prepares to enter retirement, Schroeder called it an honor to have served UNK for so long. The 65-year-old won’t miss the crazy hours and weekend IT emergencies, though. She’s looking forward to relaxing at the rural Shelton farm where she lives with her husband, Fred. “Having time for myself is very attractive,” Schroeder said. Education: Bachelor of Science in Education, math emphasis, UNK, 1975; Master of Business Administration, UNK, 1980. Career: Computer programmer and systems analyst, UNK, 1975-78; Programmer/analyst, Financial Systems Inc., 1978-81; Computer science instructor, UNK, 1981-82; Systems analyst, UNK, 1982-94; Assistant director of computer services, UNK, 1994-97; Director of computer services, UNK, 1997-2000; Assistant vice chancellor for information technology, UNK, 2000-17; Assistant vice president for information technology, University of Nebraska, chief information officer, UNK, 2017-present. Honors/Service: University of Nebraska Board of Regents KUDOS award, January 1993; UNK Staff Senate, 2004-07; Network Nebraska-Education Advisory Group co-chair; CHI Health Good Samaritan Community Board.